This fella came as part of a three pack, the ‘Artist’s Series’ that also came with a Rockin’ Jellybean and Bounty X Hunter Devilman. He’s also the first one that I’ve gotten that can stand on it’s own. Nice little holiday surprise. 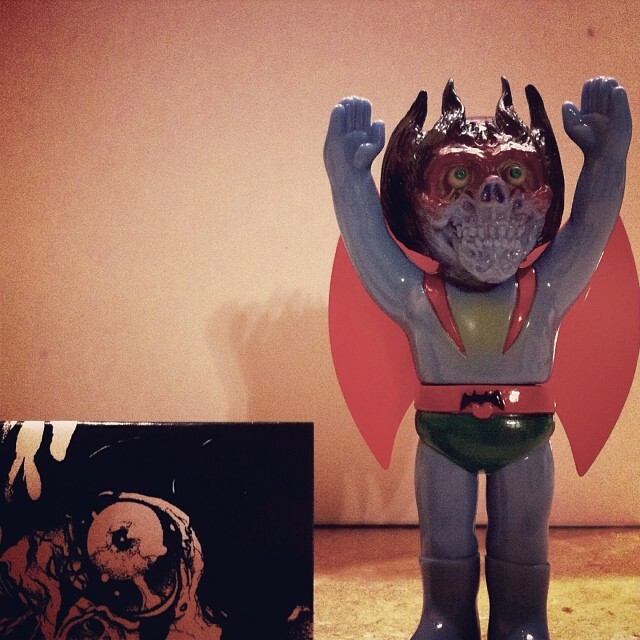 This entry was posted in Pushead and tagged Devilman, Kaiju, Pushead, Secret Base, Sofubi. Bookmark the permalink.